On Sunday, October 20th, Preston will be one of 35,000 runners to run the 29th Annual Army 10 Miler. Like many other high profiled races in DC, this race sold out within hours of registration opening. In order to secure his spot, Preston made sure to be up for registration when it opened at midnight back in May. This will be Preston’s second 10 miler – his first was the Cherry Blossom 10 Miler back in April 2012. I never had any intention to register for this race. Because I want my first half marathon in January to be monumental, the farthest race distance I plan to complete prior to then is a 10K. I’m currently planning on completing two 10Ks prior to January, the best of the two times I will send to runDisney for my corral placement for the Disney World Half Marathon. However, I’ve still been desiring to participate at the Army 10 Miler in some way. After some short deliberation, I’ve registered as a volunteer for the event. (The only reason for deliberation is due to the fact that the Army 10 Miler is the same weekend as my 5 Year college reunion – it’ll be a long and tiring weekend!) I’m excited to participate in this historic race, and have even convinced my friend Jen to volunteer with me. We’re both signed up to work at the finish line distributing the Finisher Coins. At this race participants receive a coin instead of a more traditional finisher’s medal. 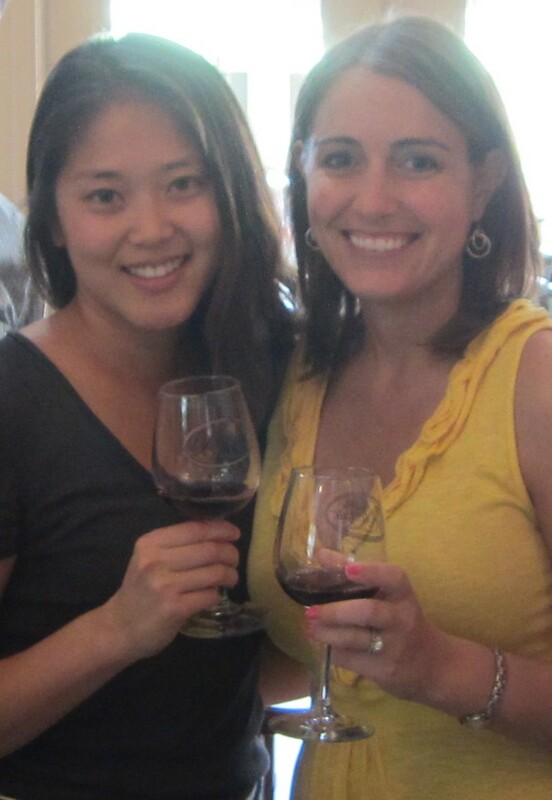 Jen and I out wine tasting, one of our favorite local Virginia activities to do together. I can’t wait to share in this experience with her! I’m looking most forward to this experience as a way to gain additional insight into the racing experience, but from a different perspective. Although I’ve always greatly appreciated all volunteer efforts, I think volunteering at a major race will give me even greater appreciation for all that goes into racing events. Volunteering will also allow me to share in the Army 10 Miler experience with Preston without actually running the race. This entry was posted in Races and tagged Army Ten Miler, volunteer. Bookmark the permalink.